KfW Ipex-Bank is financing German exporters in their work to provide electricity to 300 rural villages in Senegal. The bank is providing a total of €130mn, covered by the German export credit agency Euler Hermes, for an electrification project being implemented by the Nuremberg-based firm Gauff & Co Engineering. The project involves building decentralised solar power systems and energy stores, power distribution via low-voltage supply lines, and LED street lighting and house connections. The local buyer is the Senegalese Agency for Rural Electrification (ASER). Gauff & Co Engineering is collaborating with the German development agency GIZ on the project to transfer expertise to local partners and users. The deal comes a few months after German chancellor Angela Merkel and a number of German business leaders visited Senegal as part of a West African tour to push for closer economic ties and greater investment in the region. While European export credit agencies are generally increasing their support of exports to Africa, the recent deal reflects a particular interest in Senegal, a nation that since 2015 has recorded economic growth of over 6%. 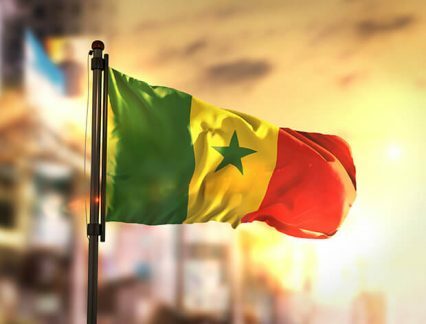 In August, Senegal’s first utility-scale wind power project reached financial close, drawing in a €140mn, 17-year export loan from Danish export credit agency EKF. This came in addition to support from the Overseas Private Investment Corporation (Opic), which committed to providing US$250mn in financing and US$70mn in reinsurance back in 2016. France, meanwhile, continues to be the largest foreign investor in Senegal, a former French colony, bringing new opportunities to the country’s export credit agency Bpifrance. ”Demands for covering projects in Africa have increased, especially in Senegal,” said Christophe Viprey, the agency’s director general, assurance export, speaking at a GTR-hosted roundtable earlier this year.